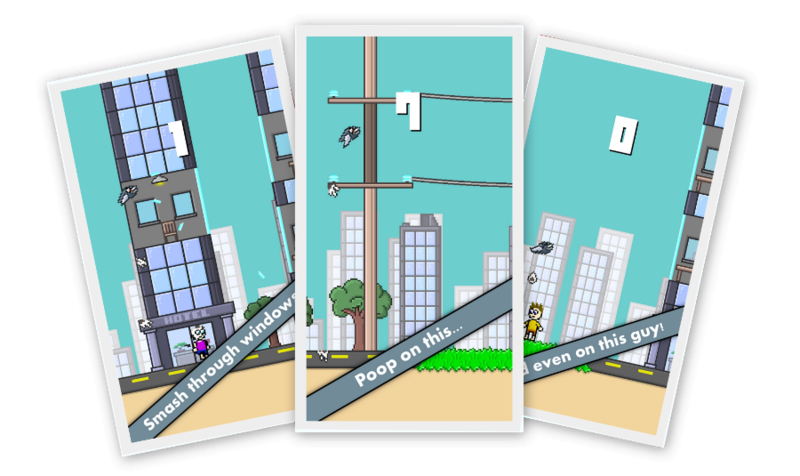 This game builds on my open source Flappy Bird engine (can be found in signature below), and adds a few new elements in to the game to make it a bit more interesting, IE electrocuting powerlines and crapping on people for extra points. There are a few more dynamic-level styled things we are going to add in soon, to hopefully make it less un-original. But aside from that there is not much to say, check out the video and the screenshots on the store page, tell us what your highscore is, and if you are feeling kind enough to do so, leave a review on the store, helps out a lot. Enjoy! Edited by zbox, 27 March 2014 - 06:44 AM. Testerday i showed the description of the game to my friends. We laughed on ur geinus all night. U sure can make wishkey fun . unfortunately for me it is a showcase of possibly somewhere just (maybe 2/7ths) below my current skill level in gamemaker, in terms of multiplatform and serverside integration stuff, setting out a larger/more focused project logically. not to mention circumnavigating many many of gms bugs. But dont get me started on that. Edited by zbox, 24 February 2015 - 10:37 AM.